Don’t get me wrong, Google Grants is an amazing “in-kind” gift for those qualified 501(c)(3) Nonprofits (especially for those who are utilizing it efficiently). However, times have changed since it’s inception in 2003 and considering the multi-device environment that we live in, Google should consider adapting their Mobile Network as a viable option for Google Grantees. Maybe call it (GrantsMobile)? In this post, I will discuss the reasons why Google should revamp their Grants program to be more mobile app friendly. If you have ever done any mobile advertising within Google Adwords (formerly AdMob), you know that the system is pretty robust and is considered one of the best platforms to promote Apps on both Google Play and the iTunes store. Moreover, advertisers can easily track engagements and downloads back to their specific audience that they are targeting. The costs are also much more affordable than traditional $ 1-2 CPC offered to Google Grants accounts which can only run on Google.com. AdWords create ads for your Android app in a variety of auto-generated formats to show across the Search, Display and YouTube Networks. Add an optional YouTube video link for your ads to show on YouTube as well. Increase app downloads with ads sending people directly to app stores to download your app. Re-engage your existing users with ads that deep link to specific screens within your mobile app. Mobile app engagement campaigns are a great choice if you’re focused on finding folks interested in your app content, getting people who have installed your app to try your app again, or to open your app and take a specific action. These types of ads allow flexibility for counting conversions, bidding and targeting. A lot has changed since 2003 with the birth of Google Grants and Google needs to continue to be socially responsible and catch up to their own standards of the online world that they helped create. Nonprofits are now, more than ever, relying on the internet to drive awareness, volunteerism and fundraising. For Nonprofits, as well as everyone else for that matter, are getting their information from Facebook, Twitter, TV, Radio and (still Google) using laptops, tablets and mobile devices and it’s time for Google Grants to adapt to this new world. The one big surprise of the launch event was where IGTV would exist. Instagram announced it’d live in a standalone IGTV app, but also as a feature in the main app accessible from an orange button atop the home screen that would occasionally call out that new content was inside. It could have had its own carousel like Stories or been integrated into Explore until it was ready for primetime. Instead, it was ignorable. IGTV didn’t get the benefit of the home screen spotlight like Instagram Stories. Blow past that one orange button and avoid downloading the separate app, and users could go right on tapping and scrolling through Instagram without coming across IGTV’s longer videos. Last month, TechCrunch tipster Jane Manchun Wong spotted Instagram showing promos for individual IGTV shows in the middle of the feed, hoping to redirect eyeballs there. And today, TechCrunch researcher Matt Navarra found Instagram getting more aggressive by putting a bigger call out featuring a relevant IGTV clip with preview image above your Stories tray on the home screen. It may need to boost the frequency of these cross-promotions and stick them in-between Stories and Explore sections as well to give IGTV the limelight. These could expose users to creators they don’t follow already but might enjoy. There’s a goldmine waiting if it does. Unlike on Facebook, there’s no Regram feature, you can’t post links, and outside of Explore you just see who you already follow on Instagram. That’s made it great at delivering friendly video and clips from your favorite stars, but leaves a gaping hole where serendipitous viewing could be. IGTV fills that gap. The hours people spend on Facebook watching random videos and their accompanying commercials have lifted the company to over $ 13 billion in revenue per quarter. Giving a younger audience a bottomless pit of full-screen video could produce the same behavior and profits on Instagram without polluting the feed, which can remain the purest manifestation of visual feed culture. But that’s only if IGTV can get enough content uploaded. The challenges faced by parents of kids with special needs are always unique, but in one way they are surely much alike: making sure the kids are getting what they need from schools is way harder than it ought to be. 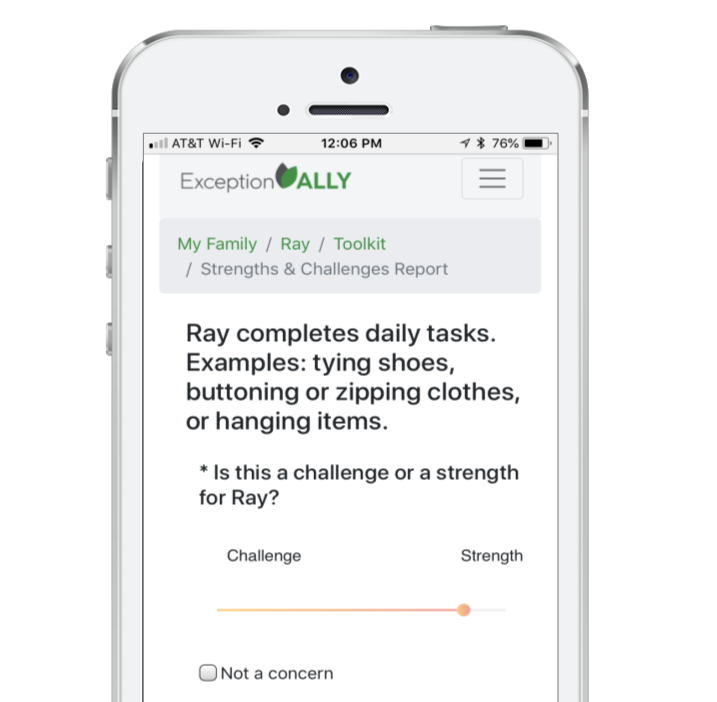 ExceptionAlly is a new startup that aims to help parents understand, organize and communicate all the info they need to make sure their child is getting the help they require. The company just emerged from Y Combinator and is pursuing full deployment ahead of this school year, with a visibility push during the usual back-to-school dates. It’s still early days, but Davis tells me they already have thousands of users who are taking advantage of the free and paid aspects of the service. Just because a parent has a kid with dyslexia, or a hearing impairment, or a physical disability, doesn’t mean they suddenly become an expert in what resources are out there for those kids — what’s required by law, what a school offers voluntarily and so on. Achieving fluency in these complex issues is a big ask on top of all the usual parental duties — and on top of that, parents and schools are often put in adversarial positions. There are resources out there for parents, certainly, but they’re scattered and often require a great deal of effort on the parents’ part. So the first goal of the service is to educate and structure the parents’ information on the systems they’re dealing with. Based on information provided by the parent, such as their kid’s conditions or needs, and other information like school district, state and so on, the platform assists the parent in understanding both the condition itself, what they can expect from a school and what their rights are. It could be something as simple as moving a kid to the front row of a classroom to knowing how frequently the school is required to share reports on that kid’s progress. Parents rarely know the range of accommodations a school can offer, Davis said, and even the schools themselves might not know or properly explain what they can or must provide if asked. 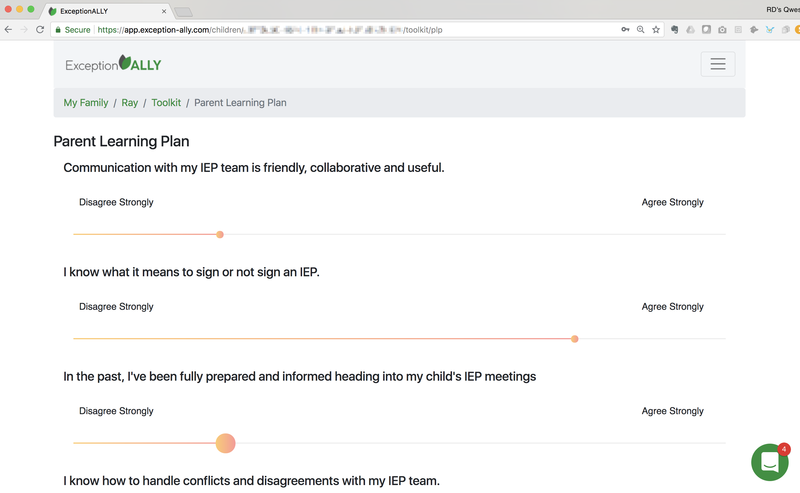 For instance, an IEP, or individual education plan, and yearly goals are required for every student with special needs, along with meetings and progress reports. These are often skipped or, if not, done in a rote way that isn’t personalized. Davis said that by helping parents collaborate with the school and teacher on IEPs and other facets of the process, they accomplish several things. First, the parent feels more confident and involved in their kid’s education, having brought something to the table. Second, less pressure is put on overworked teachers to produce these things in addition to everything else they have to do. And third, it either allows or compels schools to provide all the resources they have available. Naturally, this whole process produces reams of documents: evaluations, draft plans, lesson lists, observations, reports and so on. “If you talk to any parent of a child with special needs, they’ll tell you how they have file cabinets full of paperwork,” Davis said. ExceptionAlly will let you scan or send it all these docs, which it helps you organize into the various categories and find again should you need them. A search feature based on OCR processing of the text is in development and should be in place for the latter half of the coming school year, which Davis pointed out is really when it starts being necessary. That, he said, is when parents need to keep schools accountable. Being informed both on the kid’s progress and what the school is supposed to be doing lets the resulting process be collaborative rather than combative. But if the latter comes to pass, the platform has resources for parents to deploy to make sure the schools don’t dominate the power equation. “If things progress that way, there’s a ‘take action toolkit’ to develop communications with the school,” Davis said. Ideally you don’t want to be the parent threatening legal action or calling the principal at home. A timely reminder of what was agreed upon and a nudge to keep things on track keeps it positive. “It’s sort of a reminder that we should all be on ‘team kid,’ if you will,” he added. Schools, unfortunately, have not shown themselves to be highly willing to collaborate. “We spent about six months talking to over a hundred schools and districts. What we found was not a lot of energy to provide parents with any more information than what the school was already providing,” Davis explained. The sad truth here is that many schools are already neck-deep in administrative woes, the teachers are overworked and have new responsibilities every year and the idea of volunteering for new ones doesn’t strike even the most well-intentioned schools as attractive. So instead, ExceptionAlly has focused on going directly to parents, who, confidently and well-armed, can take their case to the school on their own. After the official launch ahead of this school year, the company plans to continue adding features. Rich text search is among them, and deeper understanding of the documents could both help automate storage and retrieval and also lead to new insights. At some point there will also be an optional program to submit a child’s information (anonymously, of course) to help create a database of what accommodations in which places and cases led to what outcomes — essentially aggregating information direct from the source. ExceptionAlly has some free content to peruse if you’re curious whether it might be helpful for you or someone you know, and there are a variety of paid options should it seem like a good fit. Because there is so much value in basing one’s PPC tests on statistically significant data, here we provide you with several tools and examples of how to do it. If a test happens on your website and nobody hears about it, does it make a sound? Not to get too philosophical, but that’s one of the big challenges of building a culture of growth and optimization: getting the word out. That’s why a data storyteller is one of the key members of any testing team. In fact, “communication and data storytelling” was noted as a critical skill for a person who leads testing and optimization efforts, according to a survey of marketing leaders who conduct tests and online experiments.1 The must-have skills rounding out the top three were leadership and, the obvious, analytics. A data storyteller is part numbers-cruncher, part internal marketer, and part ace correspondent from the testing trenches. He or she is someone who can take the sheer data of testing — the stacks of numbers, the fractional wins and losses, the stream of daily choices — and turn it into a narrative that will excite the team, the office, and (especially) the C-suite. Storytelling doesn’t just mean bragging about successes. It can also mean sharing failures and other less-than-optimal outcomes. The point is not just to highlight wins: it’s to reinforce a culture of growth, to generate interest in experimentation, and to explain why testing is so good for the company. “Our test success rate is about 10%,” says Jesse Nichols, Head of Growth for Nest. “We learn something from all our tests, but only one in 10 results in some kind of meaningful improvement.” That means that a big part of the data storyteller’s job is to keep people interested in testing and show them the value. Watch our on-demand webinar “Test with success — even when you fail” to hear more testing and optimization tips. Take the long view. Gaining support for testing is like rolling a rock up a hill: slow going at first, but once you cross the summit the momentum will take over fast. It takes time, so lay the groundwork with lots of short reports. Don’t wait to make formal presentations: Look for chances to drop your message into weekly wrap-ups and other group forums. In short, don’t be afraid to over-communicate. Be specific. It’s better to present one great number than 10 so-so ones. Think mosaic rather than mural: Look for specific stories that can represent your larger efforts and broader plans. Keep your eye on the bottom line. In the end, that’s what it’s all about. You may be thrilled that a call-to-action change from “see more” to “learn more” increased clicks by .03%, but what will really get the CMO and other executives interested is moving the profit needle. As a litmus test, ask yourself, “So what?” If your story doesn’t clearly answer the question in terms the audience cares about, consider giving it a rewrite. And remember that it won’t always be small victories. “The things you’re so sure are going to work are the ones that go nowhere,” says Jesse. “Then you do a throwaway test and it makes the company an extra $ 500,000.” That’s a story that everyone will want to hear. Download our eBook How to Build a Culture of Growth to learn more best practices on testing and optimization. 1Source: Google Surveys, U.S., “Marketing Growth and Optimization,” Base: 251 marketing executives who conduct A/B tests or online experiments, Oct. 2016. Uber’s problem right now isn’t operations. It’s a culture that comes from the top. The post Travis Kalanick Doesn’t Need a New COO. 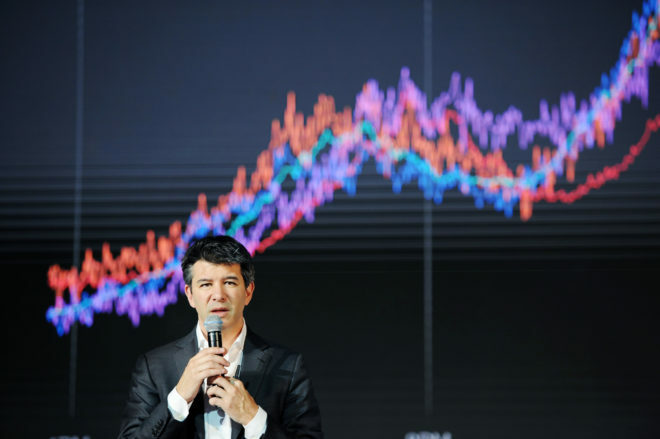 He Needs a New CEO appeared first on WIRED.